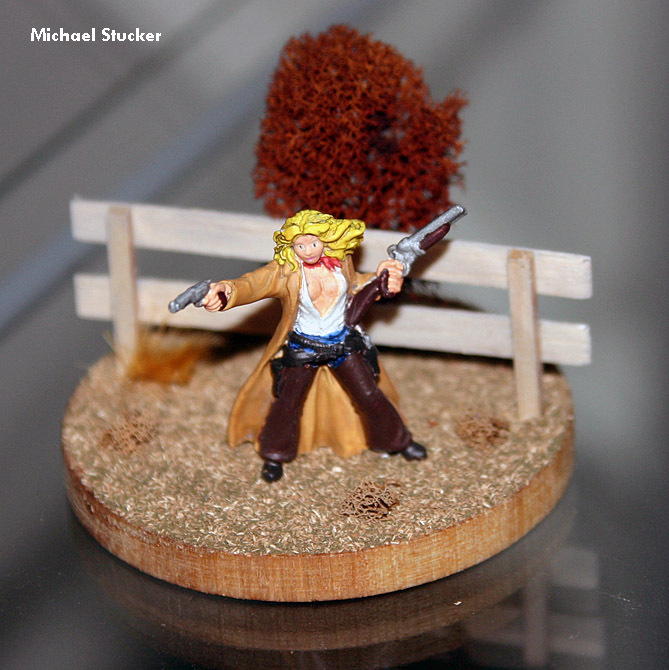 The Reaper figure “Ellen Stone, Cowgirl” is based on the Sharon Stone character from the movie “The Quick and the Dead”. 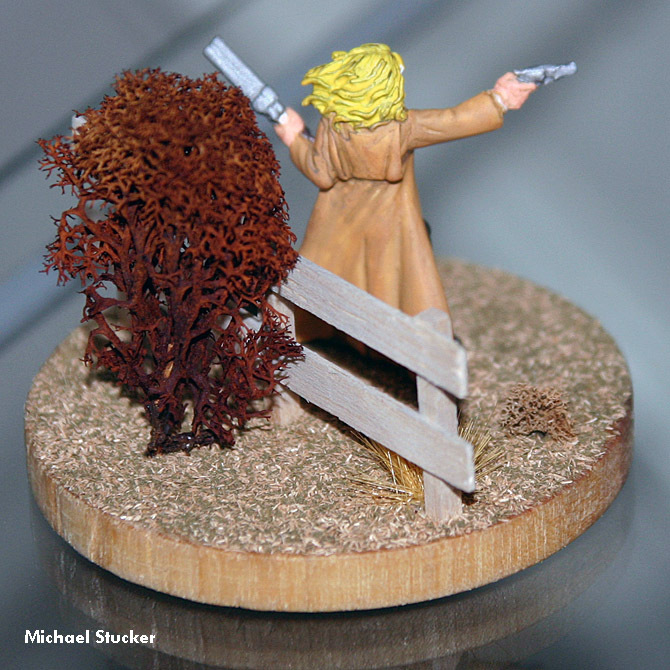 The fence is scratch built out of balsa wood. The tree is lichen and model railroading supplies were used for the ground cover and tumble weeds.